You want to be in the top percentage of income-earners in your company. In order to do that, you need to learn what the top pros know and how they work. 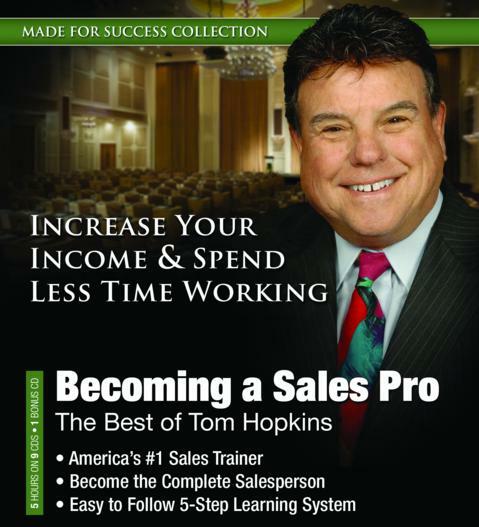 Master sales trainer Tom Hopkins has been building sales champions for years. Learn how to handle normal sales stress factors, how to communicate better with your clients, overcome objections and close more sales by using the right words and phrases. This nine-part audio series can help you learn and utilize the skills necessary to push yourself and others to the top of the business ladder.